Home / Primary / Quality Mark / Why Do the Quality Mark / Why Do the History Quality Mark? 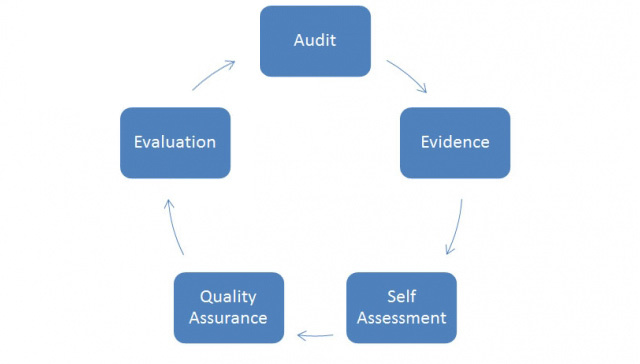 Firstly, the very process of the initial audit carried out as part of the QM framework provides a good analysis of the health of history in the school. What is demanded is an assessment of strengths and priorities backed up with solid evidence. Most schools have told us this is a really valuable process. The very fact that schools can accompany this with a pre-assessment visit from an expert can often enhance this health check. That plus the visit itself allows history in the school to be assessed against a broad, clear yardstick. The criteria are based on valid and well-tested qualities and the assessors are both quality assured and regularly standardised. When a school is awarded a gold or silver standard, a school can really have confidence in the outcome. Schools tell us that the school visit is a most positive process – combining rigour with humanity. It has gone out of its way to assess the requirements of what is generally recognised as good history without the stresses and strains of a formal inspection. It has allowed the probing of all aspects of history in the school – lessons, work scrutiny, discussions with staff and pupils in a way that focuses on what the school can be proud of rather than its weaknesses. This is about celebration and encouragement. Nor is it narrow and general. The criteria address different elements providing an assessment in depth – standards and achievement, teaching and learning, leadership, the curriculum and enrichment. Above all it celebrates those schools where history goes that extra mile. It is also aimed at all types of school – the small, the large, the specialist and the general. All that is asked for is a track record of success, a respect and high status no matter what its type. Even for schools who have not quite achieved their aspirations, this can provide a pathway and framework to ultimate success. The school receives both feedback on the day, an awareness of what to improve and a detailed report and suggestions for development. Not every school with quality history shouts loudly from the rooftops. The Quality Mark has often proved an avenue for the quieter effective schools to be recognised and celebrated. Case studies provided by the Historical Association enhance the public esteem of the school. As the “voice of history”, the Historical Association provides that national standard and forum for good practice. Whilst the Quality Mark does not single out individual teachers instead focusing on a wider school context, the new Chartered Teacher status is a logical accompaniment to the Quality Mark for individual teachers wishing to gain recognition and the Historical Association will launch a Chartered teacher scheme in the future. In short, this is professional development at its best. Carried out by a trusted body, the Quality Mark provides a framework for encouraging creative and critical thinking about history in the school. It is also personalised in adapting a set of criteria to the particular context. It is far more cost effective than a general training event. The greatest impact of the QM is the raised standard of teaching and learning – it was already excellent, but during this year I have seen the standard of teaching & learning rise even more dramatically. It is all about what a department can do with the resources available within their educational establishment. You will be assessed realistically not by criteria that are unachievable. To have our achievements recognised by an independent, supportive but astute professional body helps self-esteem all round in a department. Colleagues from other departments as well as SMT have been warm and positive in their praise. History has assumed a position within the school, which is almost on a par with the core subjects. The impact of the Quality Mark on our school has been an extremely positive one. Receiving ‘Gold’ status acknowledged and celebrated all of the hard work and dedication our teachers have towards history. It allowed us to put in place lasting changes that will ensure that history teaching remains of a high quality. Taking part in the Quality Mark has left a legacy of high quality history at the school which we will continue to develop.